One of our preferred cruise line partners is Lindblad Expeditions, offering authentic, exhilarating, and up-close expedition experiences. A Lindblad-National Geographic expedition is arguably the most exhilarating overseas adventure travel experience a person can have. Nothing else comes close to approximating its authenticity and all-five-senses engagement. Lindblad offers you the world’s ultimate, authentic expedition experience: Discover the planet’s most remarkable places, accompanied by experts able to illuminate all you see, and with cool tools to use to explore up close and personally. As Lindblad is part of the Virtuoso network, when you book directly with us you can get access to special pricing and promotions which you can’t get elsewhere! Venture safely to the planet’s wild, remote places! Lindblad's fleet consists of nimble, intimately-scaled expedition ships, able to safely venture where larger cruise ships cannot, allowing us to offer authentic, up-close experiences in the planet’s wild, remote places and capitals of culture. More than comfortable as your base for exploring, they are outfitted with cool tools that enable a genuine connection with the places we visit, and offer inviting private accommodations, and gracious public spaces for the expedition community to gather. Lindblad Expeditions features travel by small ship to see and experience the world in a different way. You’ll be among animals unafraid of you. Snorkel, hike, paddleboard, cruise by Zodiac. Lindblad's 50th anniversary is this year - and you'll be able to experience everything the Galápagos has to offer, aboard the brand-new National Geographic Endeavour II or the yacht-scaled National Geographic Islander. Since the first international tourist expedition to Galápagos in July 1967 with Lars-Eric Lindblad, they've introduced generations of guests to these strange and wonderful islands, the world’s first UNESCO World Heritage Site. Sailing twice weekly, all year round. 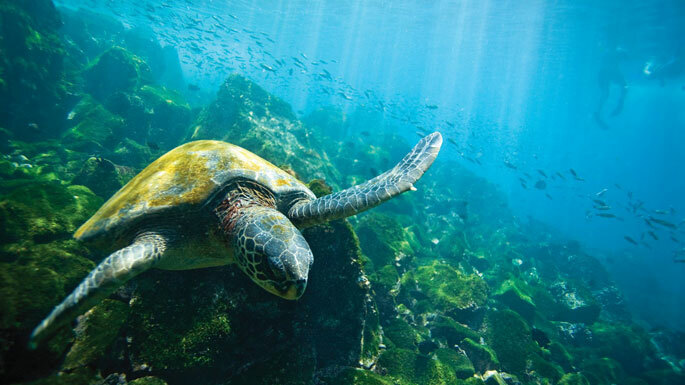 Explore the undersea on our Galápagos cruise tours. 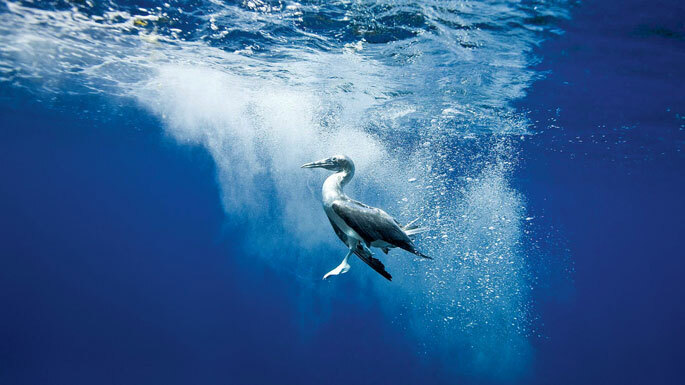 In the nearly 50 years we’ve been exploring here, Lindblad has introduced generations of guests to the magic and mystery of Galápagos— the best islands in the world. Lindblad Expeditions features travel by small ship to see and experience the world in a different way. Book adventurous travel destinations online today. Embark on an in-depth exploration of some of the most beautiful and fascinating places on Earth. They’re places Lindblad has going to for decades, and their experience and renowned staff ensure the adventure of a lifetime. These are active adventures, engaging the mind and body. Explore by Zodiac, kayak, or on foot, venture to remote beaches and hidden coves, go farther and get closer to nature, wildlife, and intriguing cultures.